The much anticipated Genesis edition, Sunshine of Your Love is now available to pre-order. 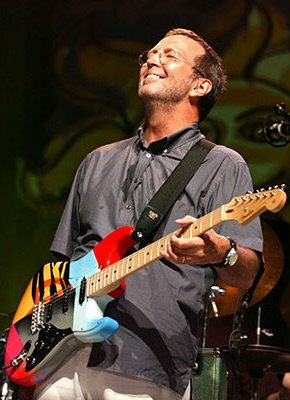 The book documents Eric Clapton's guitar festivals, with archival photography and original commentary. Those taking part include Eric Clapton and fellow musicians Buddy Guy, John Mayer and Steve Winwood. Copies numbered 1 - 350 will be Deluxe copies, bound in full leather and signed by Eric Clapton as well as at least two Crossroads musicians. Collector copies will number 351 - 2,000 and will be signed by at least two musicians. Signatories include Gary Clark Jr., Carlos Santana and Joe Walsh. To find out more about Sunshine of Your Love and pre-order your copy, click here.